To most English-language readers and theatre goers, Strindberg is mainly known for naturalistic plays such as 'Miss Julie' and 'The Father', but the dramatic production of Sweden's national playwright is infinitely richer and more extensive than these would suggest. 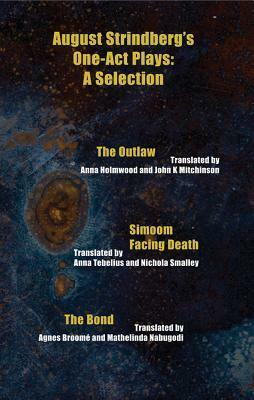 This volume presents four of Strindberg's lesser known one act plays, 'The Bond', 'Facing Death', 'The Outlaw' and 'Simoom', written between 1871 and 1892, which showcase Strindberg's remarkable range. 'The Bond' and 'Facing Death', which fall at the end of the time span, are familiarly naturalistic plays set in contemporary European settings which demonstrate Strindberg's provocative engagement with contentious issues of his day. The early experiment 'The Outlaw', however, takes place in the frigid landscapes of the Viking north, drawing heavily on the style of Icelandic sagas. In Simoom, written in 1889, a practically gothic narrative transports us to the scorching deserts of French colonised Algeria, allowing us to observe the beginnings of Strindberg's experimental, mystical phase which culminated in 'A Dream Play'. Different as the four plays are, however, when read together they form a thematic unity, revealing the beating heart of Strindberg's creativity, the issue at the core of his writing: love as a war eternally waged man and woman, husband and wife, children and parents and individuals and society. The four plays were translated from the Swedish by Agnes Broome, Anna Holmwood, John K Mitchinson, Mathelinda Nabugodi, Anna Tebelius and Nichola Smalley.